Summer holiday 2019 bookings now being taken. I am now taking bookings for Easter Holiday revision sessions, before the exam season starts in May. I am looking for a math tutor for my son Luca. He is planning to study business this September at University of the Hague. He will need to take a maths entrance exam mid August to complete his acceptance requirements. Since he has not studied math since he passed his GCSEs and got a C in the subject - he really needs to get his level up in preparation. Please let us know if you would be available to tutor him on a regular basis in the lead up to the exam. Many thanks and hope to hear from you soon!! The holidays are fast approaching and I am now taking summer bookings. If you need to catch up, prepare for an exam or get ahead for next year. Send me an email. Many thanks to my Year 13 superstars this year. All of them have been an absolute pleasure to tutor. I wish them all the best for the future in everything they do. I contacted miss Debra because I was struggling with IB Maths Studies, at the beginning of IB I was at a level 5, and with her help and support I was able to massively improve, obtaining a 7 as my predicted grade. I have just recently taken my IB examinations and I am confident that my final grade will be to the same standard. Miss Debra is an outstanding tutor, not only have I been able to improve my mathematical knowledge, but I have also learnt to enjoy maths, which at the beginning of my IB journey I thought would be impossible..! She’s the best you’ll ever get! I’ve had Miss Debra for about 4 years now. She has taken me through both GCSE and IB and I honestly wouldn’t have been able to do it without her. She’s super nice, super friendly, and is the best maths teacher that I’ve ever had no doubt. Explains everything in the easiest way possible and if I still don’t get it, she will come at it from another angle until I do. She is very patient with me. She has been able to identify my strengths and weakness and the areas which have to be tackled and worked on in order for me to achieve the highest mark possible. I would definitely recommend Miss Debra to anyone who is struggling with Maths. She will definitely make you look at Maths from a different perspective and possibly even make you learn to love maths like I do now! I am so lucky to have had Miss Debra to help me with maths. With her help I was able to massively improve. Had it not been for her, I would have struggled with this subject. She has helped me for IB maths SL and IGCSE Further Pure Mathematics. She is extremely kind and her teaching is outstanding! If your mock exam results where not what you hoped for, I have some sessions available innthe latter part of some evenings and at weekends. Start your revision now to make sure you are ready for the real thing in May and June. Don't leave it until it's too late. Quite simply, the best private tuition in maths I could ever offer to my daughter! If you are looking for a professional and reliable teacher that can make your child gain confidence in maths and adopt a positive attitude towards the subject, stop looking, you just found her! Miss Debra is a highly intelligent woman who caters to the needs of her maths students excellently. Maths was always a subject that I struggled with but Miss Debra really knows how to put her students at her ease, which allows the student to become more comfortable and more focused. She will always make sure you understand the concept before moving on to another and takes it upon herself to find questions relating to that topic. Miss Debra is a brilliant tutor as I have definitely seen improvements in my maths studies grade in IB. She has been the best maths teacher I have ever had and the one to one tuition really is worth it. She is a lovely lady who genuinely cares about her students mentally and physically aswell as the intention of improving their grades and confidence with maths. Good luck to all students taking their exams. Summer bookings are being taken now. I was a student at Swans School for 4 years, and was lucky enough to had been acquainted with Miss Debra. After leaving school, she tutored me for both my IGCSE and IB examinations - it is safe to say that without her I would've failed Maths. Due to high demand for tuition, I am now producing and offering video tutorials. Currently the videos are targeted at Year 11's who are approaching their IGCSE mocks in January and final exams next year, but I will be producing videos for IB Maths in the new year. Each bundle consists of a 20 minute tutorial, a worksheet with past exam questions for students to try (approximately 20 minutes of work) and a video of worked solutions to accompany the worksheet (approximately 20 minutes). The series of videos aim to offer directed revision for students to help them improve the skills required for the IGCSE. I would like to express my sincere gratitude for having been tutored privately by Miss Debra before my IGCSE exams. She has helped me understand in great depth my weaker areas in Maths through different techniques and tips which have been indeed very helpful. Miss Debra has been teaching me since Year 8, both in school and at home and if it wasn't for her I doubt I would be the A/A* student I am in maths today. I have seen my grades increase greatly throughout the years and it is thanks to the support of Miss Debra. I sincerely recommend Miss Debra to anyone struggling in maths or anyone who simply needs extra support or clarification. She is a fantastic teacher who will make Maths easier to understand and so much more enjoyable! I can only express my most profound gratitude for Debra. When I was studying Edexcel GCE AS level maths, my grades were tremedously elevated via the tutoring I received going from 68 UMS (%) to 95 UMS (%). Furthermore, I am greatly appreciative of how flexible Debra was, working around the times that suited me the best. All in all, she was greatly successful in explaining the theory of chapter areas making everything less problematic and of course, more enjoyable, because everything is enjoyable when you start improving rapidly! I am more than pleased to provide this reference for Miss Debra who has tutored my son in Year 10 for a period of six months. I required Miss Debra’s maths tutoring services as my son was not achieving his full potential in maths. His exam technique was also in need of perfecting. Miss Debra was able to help my son thoroughly understand gaps he had in his maths knowledge and skill and also fully prepare him for his end of year maths exams. His overall confidence in maths has also improved significantly. As a result, my son achieved an A and a B in his exams, which we were extremely pleased with. We found Miss Debra to be always punctual, easy to communicate with and a kind and genuinely interested teacher. I have no hesitation in recommending her services to potential students. I was terrible at maths since I started taking private lessons with miss Debra, from a grade 3 in IB i went up to a level 5-6, it's a marvellous teacher and person, my 2 brothers still take lessons with her and we are all very happy! Although I am in the midst of extremely busy times in the run up to exams, I am now taking bookings for the summer holidays. If you want to recap this years topics or need a bit of support, let me know. If ypu would like to prepare before starting your IB in September or get ahead on necessary skills, I am glad to help. Algebraic and non-calculator skills are important as a pre-requisite for the course. Good luck with any exams that are looming. If you have exams looming and feel you need some extra support get in contact, I am currently taking bookings for the Easter Holidays and during study leave. Don't start revising too late! Deb is a great teacher! I have a ton of respect for Debra as she is a top educator. I specialise in Maths and Statistics up to and including unversity courses, so (I)GCSE, A-Level, IB (Studies/SL/HL). I am an IB Examiner as well. I also educate in Economics and Business, up to and including university level. I hold two Honors degrees in Mathematics & Statistics, and in Economics, as well as a Masters' degree in Business Administration. Additionally, I am a very successful counsellor for university admissions, with a preference for American universities. At the current time, I am fully booked during the day and after school for tutoring, with a few slots left on the weekend. Perhaps I can assist you when it comes time to begin the admissions process, especially if you and your child are interested in matriculation to an American university. Hi Debra, My son is in IB and needs some help with HL Math and HL physics! Ms. Debra Pearson has been the tutor of our 3 daughters last year and her task was not an easy one especially for our eldest daughter Isabel,who had her GCSE exams coming up. Isabel has never been a good math student but after having been tutored by Ms. Debra she started to like "Math" to the extend,that she was looking forward to her regular classes with "HER DEBSI"
Isabel’s grade have moved up and she is today a "B+" student and so are her sisters. Ms.Debra’s greatest asset is the fact, that she listens to her students,understands completely their problems and then explains in easy,understandable language the subject concerned and this is confirmed by all our 3 daughters as well as their peers who also have been lucky to have Ms. Debra tutoring them. Ms. Debra is now a part of our family and we all are looking forward to seeing her again after the summer break. Needless to say,that we highly recommend her to everyone, looking for an excellent Math teacher. Mrs Pearson has been tutoring my son who is in IB. She has shown interest in knowing his level, what materials he covered so that she could focus right away on the topics he needed the most to practice. She has the full understanding of the students needs and the IB exam requirements, content as well as the strategy to reach the student potentials. He has done 2 weeks intensive revision with Debra. He did a lot of test practises and she gave him a lot of tips, practise exams and made sure all tests got corrected from one lesson to the other not to waste time during the maths class and make the most of the tutoring hour. I have had a busy and enjoyable year tutoring mathematics and would like to thank all my students and their parents. 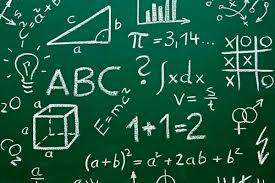 I have some sessions become available over the summer break, if any students require extra support in mathematics before the next school year. Bookings are also being taken for September for students from Year 7 upwards. My C.V. is available on request and further details on prices of classes. Hello, I have a daughter of eleven years old who will start maths in english next september 2015. I live in San Pedro Alcántara. WE are spanish, my daughter have lower level in english and I need to improve her. I am looking for my son igcse maths this year. I need a maths teacher for my son (year 7). Please can you contact me on anyamulligan@gmail.com. Could you please contact me on tutormarbella201@gmail.com? I am looking for a Maths tutor in Marbella Area. Depends if you are legal or illegal. I support spain. I pay tax. Sorry but it makes it more expensive. Your choice. Teaching fees too expensive. I can recommend someone with lots experiences on teaching main primary /secondary school subjects with magnificent results. Contact nº 627076666. I have detailed my fees below so you and any other interested parties can see the different charges in black and white, if you are then still interested we can talk further. My fees include travel, planning, all resources and online support via an educational website designed for students and teachers (much like facebook, where students can ask questions of me and get responses over the internet. )This is optional. Thank you for your interest. I hope to hear from you further. I am interested! May I know the fees?